Hilton Garden Inn Anaheim Garden Grove welcomes guests and locals to experience Mummies of the World this summer at Bowers Museum in Anaheim. Mummies of the World portrays a once-in-a-lifetime collection of real mummies and artifacts from across the globe. This incredible collection includes ancient mummies dating back as far as 4,500 years. The perfect mix between old and new, this collection includes contributions from 10 world-renowned institutions and two private collectors. This exhibit is running for a short time, March 19th through September 5th, 2016. Tickets are free for children three and under; $27 per adult for a weekend. Hilton Garden Inn Anaheim Garden Grove is just a short ten minute drive from Bowers Museum. For more information, please visit http://www.bowers.org/index.php/exhibitions/upcoming-exhibitions/457-mummies-of-the-world. 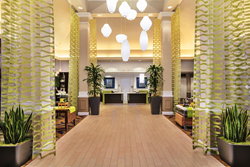 Hilton Garden Inn Anaheim Garden Grove offers guests the perfect place to spend vacation time with family, business trips in southern California and guests just looking to explore the area. Located one mile from Disneyland Resort ® and the Anaheim Convention Center, the hotel’s location is ideal for every guest’s needs. Complimentary Wi-Fi in all guest rooms, heated outdoor pool, whirlpool spa and the Garden Grille & Bar are just some of the hotel’s great guest amenities. The hotel also offers 1, 296 sq. ft. of meeting and event space, perfect for corporate meetings or fun celebrations. For more information or to make a reservation, please visit http://www.anaheimhgi.com or call (714) 703-9100. Hilton Garden Inn Anaheim Garden Grove is proudly managed by Stonebridge Companies in Denver, Colo. Founded in 1991 by Navin C. Dimond, Stonebridge Companies is a privately owned, innovative hotel owner, operator and developer headquartered near Denver. Its diverse listing of properties includes select-service, extended-stay, mid-scale and full-service hotels in markets throughout the U.S. For detailed information, visit the website at http://www.sbcos.com.